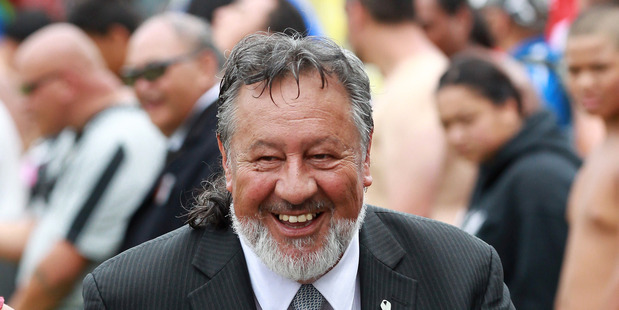 Sir Pita Sharples has called for more Maori to become organ donors after his wife received a life-changing kidney transplant. For seven years Arapera Sharples has had kidney dialysis for five hours, three times a week. After watching the All Blacks lose the first Bledisloe Cup rugby match earlier this month, she received a 2am phone call. "This voice goes, 'is this Arapera Sharples'? I said yes, and he goes, 'This is Dr Michael Collins from Auckland Hospital, I'm ringing to offer you a kidney, would you like it? '," Lady Sharples told TV One's Te Karere. "I just started screaming, 'Oh my god, oh my god'." After being admitted to hospital, a number of tests were carried out between 3am and midday. "Then they came back and said, 'It's a perfect match - you're going down to theatre now'. I just cried and cried and cried." The Sharples do not know any details of the deceased donor, other than that the person's family agreed to both kidneys and a liver being made available for donation. Since the operation, Lady Sharples has made daily visits to the hospital for check-ups. She said the transplant would be life-changing: "I can see my mokopuna growing up. I can spend quality time with my darling." Last year, four deceased Maori were organ donors, compared to 37 New Zealand Europeans, Te Karere reported. Lady Sharples and Sir Pita, former Maori Affairs Minister and co-leader of the Maori Party, want to encourage more Maori to donate their organs. "Our culture has to catch-up with the times I think. There was a time when we didn't cremate. Now, cremations are quite common in Maori families," Sir Pita said. Lady Sharples, who wants to donate her body to science when she dies, said many Maori were in need of an organ transplant, but the pool of people that could match them was small. "It's up to us. We have to do it ourselves. We have to give to each other." Te Karere has also reported that the Maori King needs two new kidneys, and is looking within his extended family to see if matching donors can be found. King Tuheitia was hospitalised last year with diabetes-related illness. Lady Sharples's situation was mentioned in Parliament last week, during the first reading of National MP Chris Bishop's bill to provide financial assistance for live organ donors during their convalescence. The bill would give organ donors the same support as ACC recipients while they recovered, increasing support from the equivalent of the sickness benefit to 80 per cent of the donor's pre-operation earnings. Labour's Carmel Sepuloni said the party would support the bill to select committee, and acknowledged Sir Pita. "His own wife just recently had a kidney transplant. So our thoughts-from the whole of Parliament, I am sure-are going out to Pita Sharples and his wife," Ms Sepuloni said. In June, the Herald reported that a donor register is being considered to help lift New Zealand's low rate of organ donation. Health Minister Jonathan Coleman asked for advice on such a step, and received a report from the Ministry of Health in March. He has now asked for more information, but said a register, on its own, was unlikely to have enough impact. At present, if New Zealanders want to be a donor, it can be stated on a driver's licence. Other countries including Australia have donor names in a database, which can help families to approve donation if the person arrives in hospital with a non-survivable condition. Some registers let people state which organs they wish to donate. New Zealand has one of the lowest organ donation rates in the developed world.